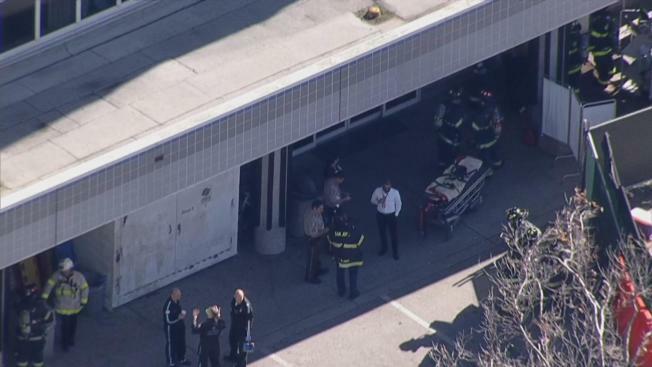 A woman is in serious condition at the Santa Clara Valley Medical Center after being exposed to lead oxide during a chemical explosion at a Hollister plant on Thursday, fire officials said. Hospital staff received a call from air ambulance provider CALSTAR of a woman they were flying in from Hollister for exposure to lead oxide and another substance containing lead, hospital spokeswoman Joy Alexiou said. San Jose firefighters and hazmat crews were dispatched around 10:40 a.m., after the patient — who was first decontaminated at Hollister-based Pacific Scientific Energetic Materials Company — was air-lifted to the hospital. The woman and transport staff were decontaminated again before they entered the Emergency Room, according to officials. The additional step was undertaken to ensure that the hospital was not contaminated and no other patients or staff were threatened.